I am monumentally behind on my posts! I really need to get the wheels rolling on all the beauty goodies I have to share with you. 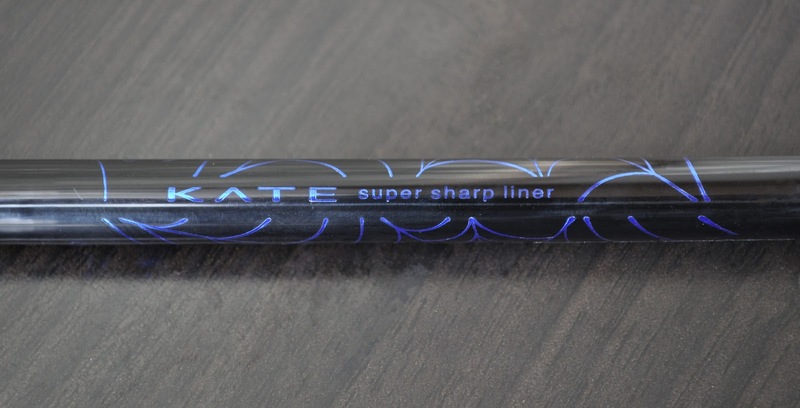 Super Sharp Liner S in NV-1(limited edition) was the second of three liquid liners that were released for Kate's Fall 2012 Collection. 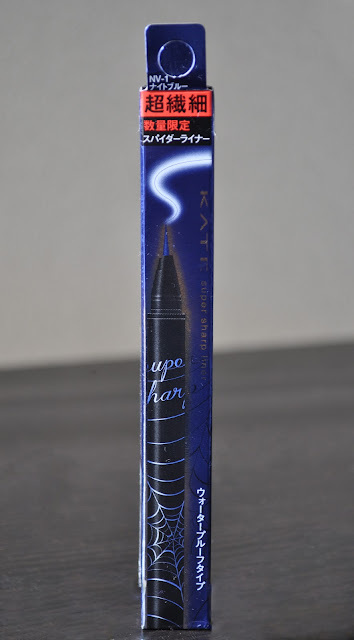 BK-1 (black) being the third; which I passed on, since I own a ton of black liquid liners. 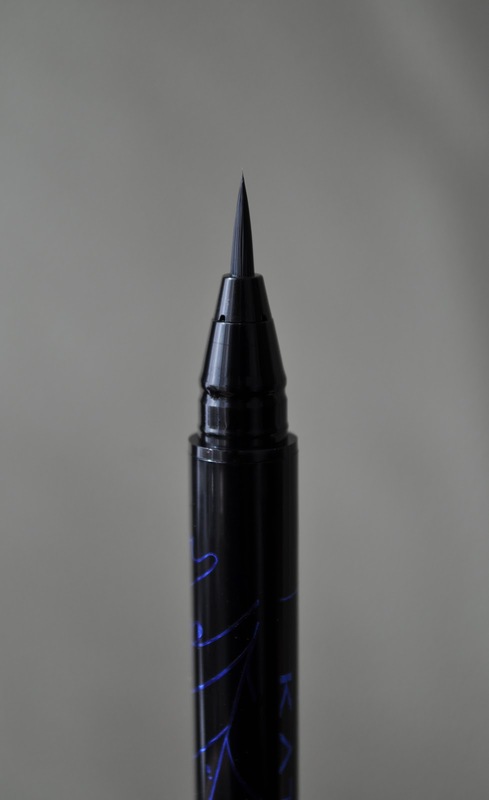 I've already reviewed the Super Sharp Liner S in Rd-1, which is the exact same liner, just in a different color. So, if you would like read my thoughts on these fantastic liners, please click here. 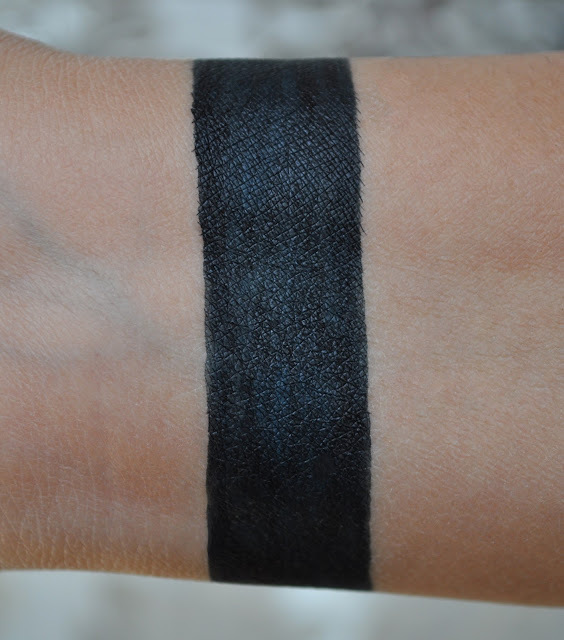 NV-1 is an exquisite dark, Cerulean shade, with a slight greenish tinge. Pardon the not-so straight lines, apparently I had a bit of the shakes. 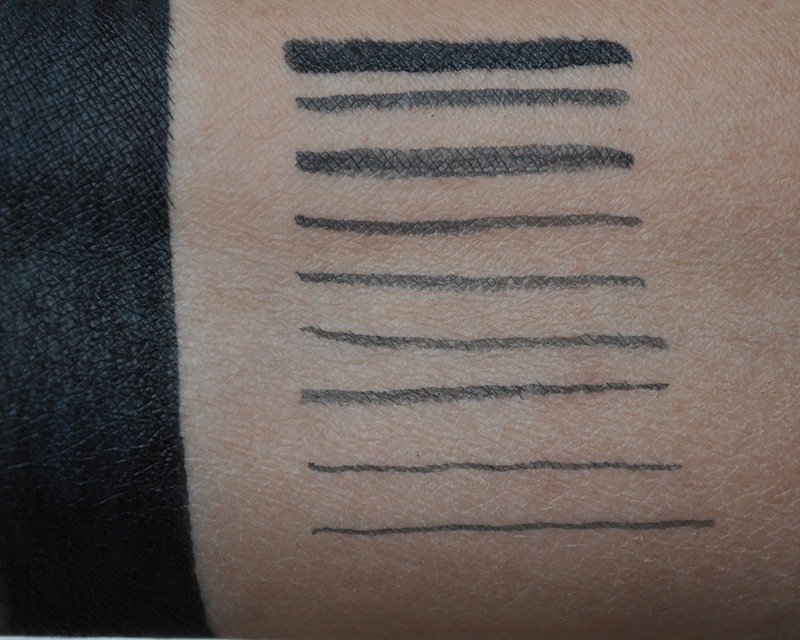 What colored liquid liners are you enjoying at the moment? This is so pretty and the red one is too! Do you know if these are limited edition or have they been added to the permanent collection? Regrettably, these are limited edition, but they're still available in stores. Erk! Good to know, I need to get my hands on one then - I see adambeauty is already selling them, luckily :).